How would you like to suddenly start getting all the SPAM E-mails your quarantine used to catch delivered right to your inbox? 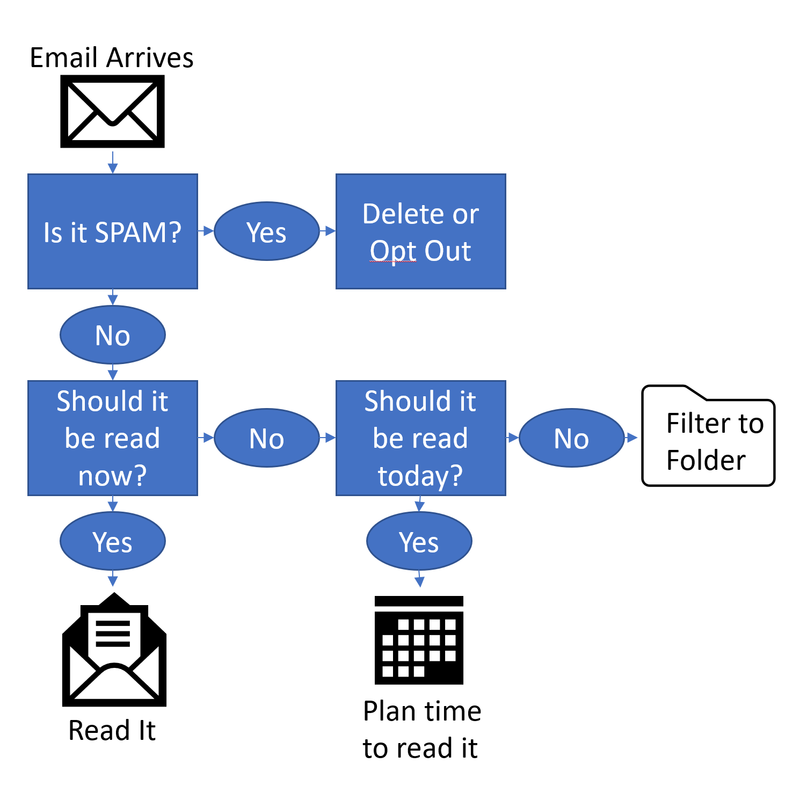 That is what happens presently when you upgrade to an Exchange 2010 plan on Rackspace if you don’t utilize the Junk E-Mail Filtering option within Outlook. The problem is two-fold, for starters the Microsoft Outlook Junk filtering is highly un-reliable. Too many messages you want to receive will end up in the junk folder forcing you to have to go find them. 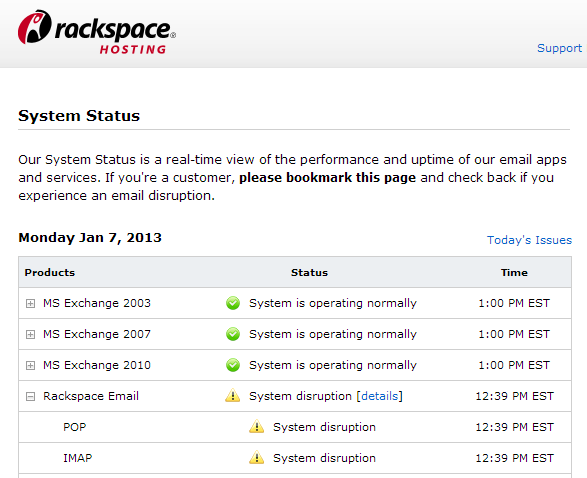 Couple that with the changes with Rackspace Exchange 2010 that require you to enable the junk filter or all the messages hit your inbox and you see an obvious problem. 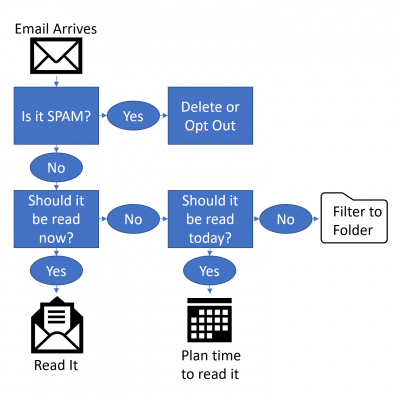 Instead of enabling the Junk Filter and fighting with it, you can create a custom rule in Outlook to filter these messages to a folder of your determination. In my case I used the Junk E-Mail folder that is essentially disarmed right now (filtering is turned off). You may wish to consult with your favorite/company IT professional before doing this. In the Home tab of Outlook click Rules | Create Rule. Click “specific words” and add: “X-Spam-Flag: YES” (minus the quotes) to the search list. Click next, then check the box next to move it to the specified folder. 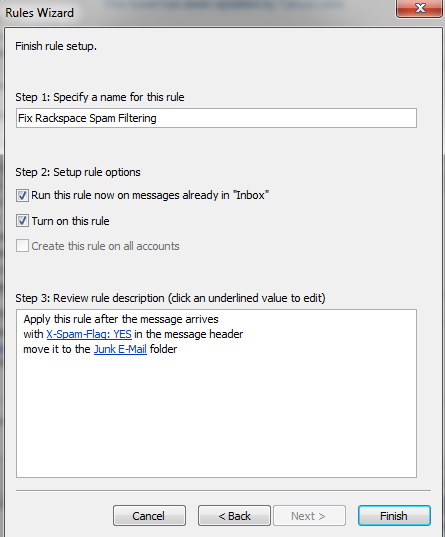 Click “specified” under the rule description and select the Junk Email folder. Click next until you get to the finish rule setup screen, pick a name for the rule and check the box to run it now if you have spam in your inbox already (pictured). Leave a comment below, ask on our Facebook page or contact us. This article originally appeared in “The Danville Tech Guy” column 6/4/2012 on the Danville Patch. This is a great question and I am happy that you asked in Mrs. G. We are all storing so much personal information on our computers these days. The loss of a computer could have a significant impact on our privacy and open us up to identity theft and a host of other problems. 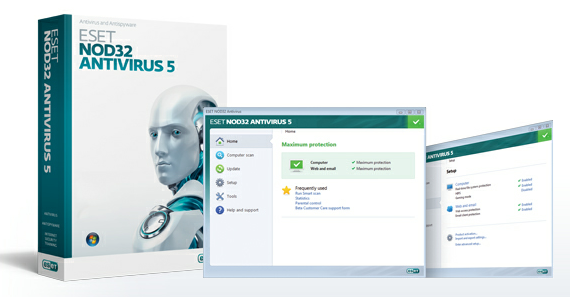 There are a number of options to ensure that our private information does not become compromised when we dispose of a computer. Based on skill, I am going to suggest three options. Use a disposal company that can provide you with a certificate of data destruction. Remove the hard drive and store it in a safe place. Run a disk wiping utility that destroys the data. Using a disposal company that can provide a certificate of data destruction (for novices). We use a local e-waste company (E-Waste Direct) they and some other firms can provide a certificate of data destruction for the computers they recycle on your behalf. This is the easiest way to avoid having your data get into the wrong hands but you are relying on a third party to do so. Be very cautious and research the company’s reputation before selecting this option. Chances are if they don’t know what a certificate of data destruction is you should keep looking, and that is the first question I would recommend you ask. Depending on how the computer was designed this can be simple to difficult to do. Hard disks have a very distinct appearance (you can see examples here) and usually have zero (tool-less) to 4 screws. Since you are disposing of the computer do not worry about harming it. The recyclers are going to take it apart anyway. If you know how to create disk images using an ISO file then this moderately more difficult option is very effective at sanitizing a hard disk by completely wiping all data off of it. Most professionals use this method but it can be difficult. There is a free program called dban or Darik’s Boot and Nuke (www.dban.org). 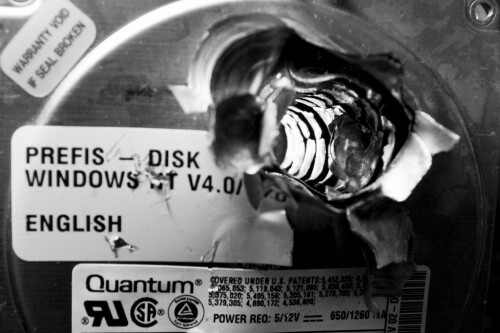 If you download the ISO file they provide and boot from the Dban CDROM you can automatically wipe or “nuke” any hard drives in the computer. Please visit this article if you’d like to learn how you could have your question featured on this blog or you can always swing by our Facebook page and ask your question there as well. Data Destruction image compliments of Robert Emperley, Creative Commons.